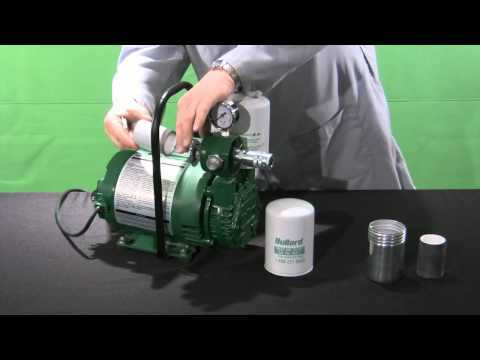 When placed in a clean air environment, Bullard Free-Air® pumps offer a low-cost means of supplying clean, breathable air to respirator wearers working in contaminated environments up to 300 feet away from the pump. They are easy to operate and maintain. 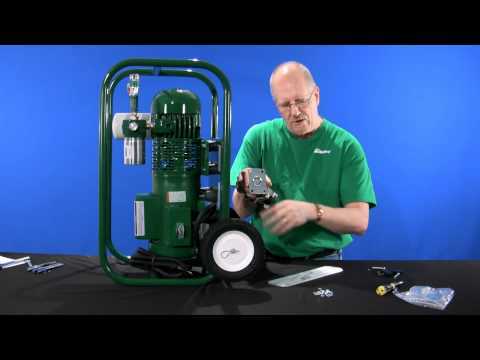 Free-Air pumps do not require temperature alarms, CO monitors or airline filters, so they can be a cost-effective alternative to compressed air. 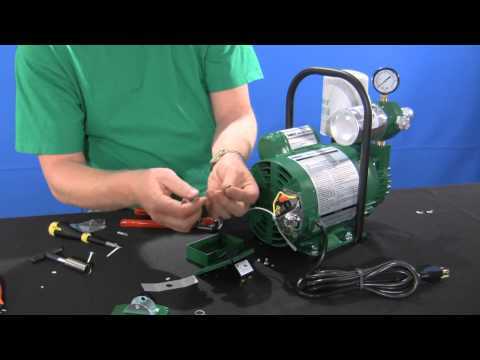 ICE Pump The Bullard ICE Pump provides workers with increased protection and comfort while maximizing productivity. ICE safely provides portable, clean, breathable air to workers wearing Type C or CE Continuous Flow Supplied Air Respirator hoods or masks, with the added ability to cool using the Frigitron2000 climate control device. EDP10 Supplies air for one hood-style or two half or full face mask airline respirators. Air flow is 10 cfm at 5 psig. The EDP10 is lightweight at only 49 pounds! EDP16 Supplies air for two hood-style or three half or full face mask airline respirators. Air flow is 16 cfm at 5 psig. Also available in a hazardous-duty version (EDP16HAZ). EDP30 Supplies air for four hood-style, six half or full face mask airline respirators, or two hood-style respirators equipped with Frigitron climate control devices. Respirators must be approved to operate on 30 psig or less. Shipped complete with inlet and outlet filter cartridges, pressure gauges, pressure relief valves, and one air supply hose quick-disconnect pod with six 1/2” Industrial Interchange (Hansen compatible) quick-disconnect couplers. EDP50 Supplies air for seven hood-style or ten half or full face mask airline respirators. Air flow is 50 cfm at 5 psig. Shipped complete with inlet and outlet filter cartridges, pressure gauges, pressure relief valves, and two air supply hose quick-disconnect pod with six 1/2” Industrial Interchange (Hansen compatible) quick-disconnect couplers each.